news: 21.01.11: In rush hour the traffic on Los Angeles roads are very packed, so it would be much faster to go by plane to work. As fare there aren't many airports in the city area, a parachute would be needed to get direct to the office. 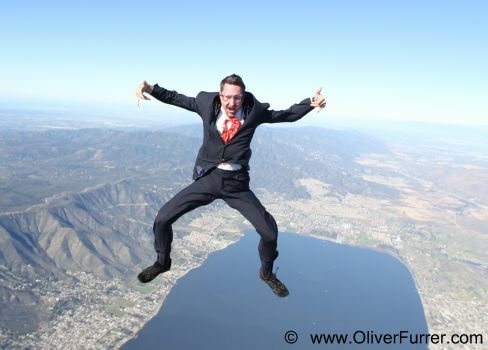 Oliver practiced a dive jump over Skydive Elsinore, California with a business suit. Maybe in the future more people will dive through the sky or share the car pool better for saving time on the way to work! 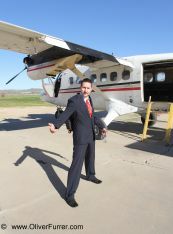 Buisness man goes to work with parachute.